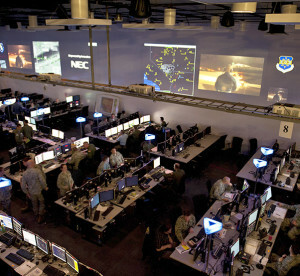 Airmen participate in the live, virtual, constructive portion of Red Flag 15-2 at the Combined Operations Center-Nellis on Nellis Air Force Base, Nev., March 5, 2015. Red Flag 15-2 will be the first Red Flag exercise that will include hundreds of virtual and constructive participants in simulators at their home stations or the Distributed Mission Operations Center at Kirtland Air Force Base, N.M. 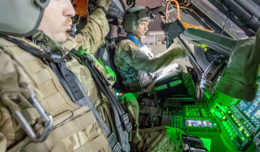 The silent war fighters of the Intelligence, Surveillance and Reconnaissance and Cyber communities are honing their operational skills and testing new capabilities during Red Flag 17-1 at the Nevada Test and Training Range north of Las Vegas, Jan. 24 through Feb. 10. Red Flag is a realistic combat training exercise involving the air, space and cyber forces of the United States and its allies. 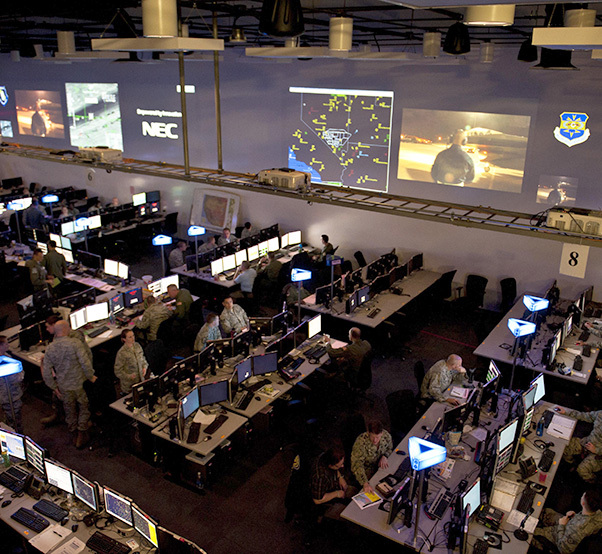 In light of military technological advances, the multi-domain exercise is evolving to include more realistic scenarios by increasing the use of cyber capabilities and other non-kinetic effects in planning and warfighting. To test the readiness of all warfighters, Red Flag employs realistic threat systems and an opposing enemy force that cannot be replicated anywhere else in the world. The simulated battlefield allows combat air forces to train to fight together, with their cyber and ISR partners, in a peacetime environment, so they can survive and win together in combat situations. Warfighters will also test the latest in targeting technology, Network Centric Collaborative Targeting, during Red Flag 17-1. 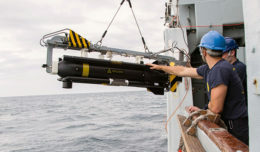 NCCT is the latest effort to ensure the ISR global portfolio delivers actionable data to decision-makers, airborne platforms and Air Force Distributed Common Ground Systems, said Garland Henderson, operational integration branch chief, 25th Air Force. This new technology will improve targeting capabilities through coordination of assets. Formal testing of NCCT at Red Flag is the last step in ensuring this technology represents a highly visible and maturable Air Force ISR enabler within the Global Integrated ISR portfolio, Henderson added. RED FLAG was established in 1975 as one of the initiatives directed by Gen. Robert J. Dixon, then commander of Tactical Air Command, to better prepare our forces for combat. Tasked to plan and control this training, the 414th Combat Training Squadron’s mission is to maximize the combat readiness, capability and survivability of participating units by providing realistic training in a combined air, ground, space and electronic threat environment while providing for a free exchange of ideas between forces. A typical RED FLAG exercise involves a variety of attack, fighter and bomber aircraft, reconnaissance aircraft, electronic warfare aircraft, air superiority aircraft, airlift support, search and rescue aircraft, aerial refueling aircraft, and command and control aircraft, as well as ground-based command and control, space and cyber forces. It has expanded in recent years to include all spectrums of warfare (command, control, intelligence, electronic warfare), and added night missions to each exercise period.